Amigurumi Freely: Boco Bear ~ Fuzzy and Soft! Boco Bear ~ Fuzzy and Soft! 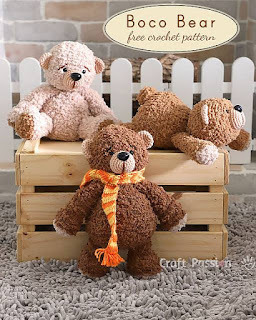 For this pattern you will hold one strand of regular yarn and one strand of fuzzy yarn together.